Bioceramic orbital implants from FCI provide physicians with an effective means for facilitating enucleation and evisceration procedures. The implants insert easily into the orbital socket and do not cling to surrounding tissue. The improved connectivity that occurs between pores enhances vascularisation, and the implants may be easily drilled without crumbling. 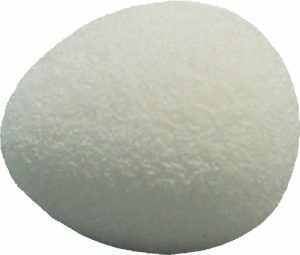 Mesh-wrapped bioceramic orbital implants from FCI are made of porous, strong, non-brittle biomaterial alumina. 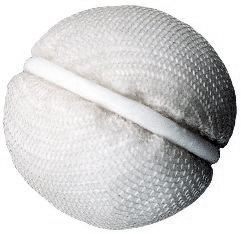 The vicryl mesh wrapping incorporated in this type of orbital implant allows the muscles to be sutured directly to the implant. Furthermore, the extensive pore system of FCI mesh-wrapped implants enhances fibrovascular ingrowth, which prevents the implant from migrating, allows the secure attachment of extraocular muscles, and improves implant motility.